New AMPHENOL connectors are now available in TME offer. 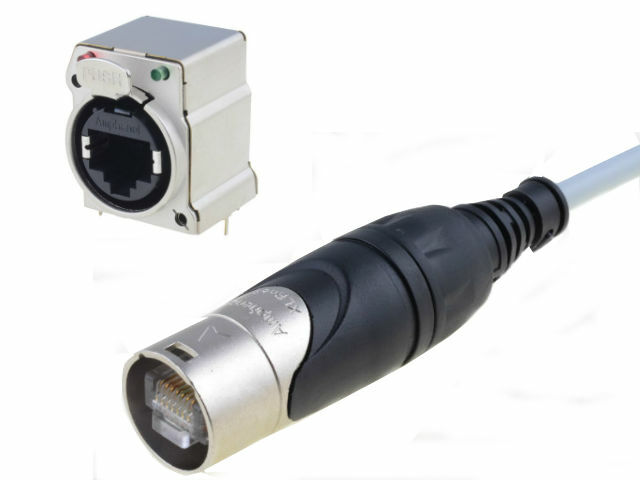 The XLRnet series is the looks and aesthetic standard of XLR connectors combined with standard RJ45 connectors. The Slots in the 5e and D Classes are adapted for panel mounting in standard XLR holes of 19.8x19.8 mm. The Plug housing has been designed so that it can be easily and non-invasively mounted on banana wire with RJ45 connector.